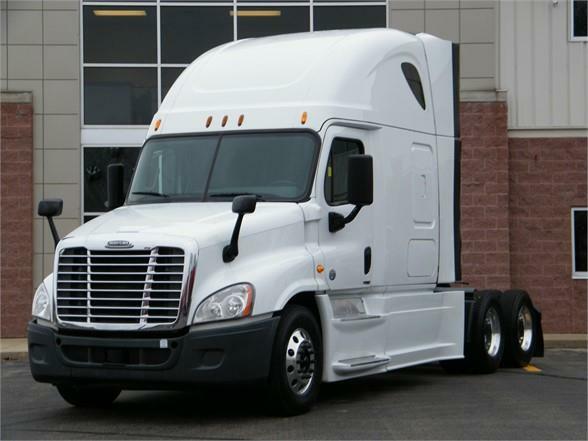 2015 Freightliner Cascadia, DD15 455HP, DT12 transmission, Espar bunk heater, two beds, air slide fifth wheel, double high back air ride seats, very well equipped truck. NEW steer tires..Remaining Freightliner factory extended EW3 warranty valid until 12-6-2019 or 500K miles which ever comes first-Turbo-Injectors-After Treatment system-Transmission-Clutch-Head and much more. We will also include a 60 day buyers assurance policy. For your piece of mind we will also include a detail, service and fresh DOT inspection. This truck has it all and factory backed for your protection. Compare with other dealers and make us your last stop.